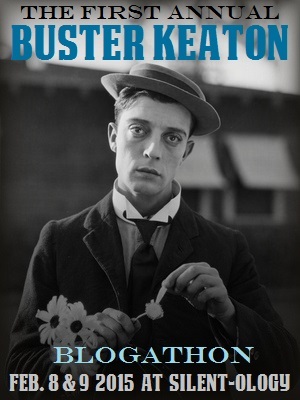 ANNOUNCEMENT: The First Annual Buster Keaton Blogathon! Posted on December 7, 2014 by Lea S.
Buster Keaton. The solemn-faced little man in a flat hat. The multi-talented performer. The incomparable filmmaker. The humble, hardworking man who loved to make people happy. He’s inspired countless filmmakers, has brought joy to several generations, and is probably the main reason why I’m typing this on my silent film-related blog right now. 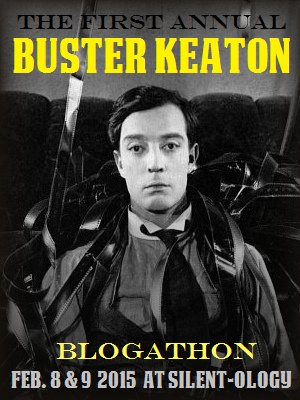 If anyone deserves his very own blogathon event, it’s the legendary Keaton. …And heck yes, it’s going to be an annual event! When: Sunday, February 8 and Monday, February 9, 2015. How: To sign up, pick a Keaton film/topic to write about then leave a comment on this post. You can also send me a message (don’t forget to include your name and the address of your blog!). Let me know whether you want to post on Sunday or Monday, otherwise I can schedule you. During the blogathon itself, when you publish your post leave me a comment or message with your link. There are some banners below to stick onto your blog–please help get the word out about this event! What to write about: Anything and everything Buster Keaton! He had a long and busy career, spanning from vaudeville all the way up to 1960s T.V. commercials, so there’s a load of films to choose from. There are the early Comique shorts, his own classic shorts and features, MGM features, Educational shorts, Columbia shorts, appearances in films like Sunset Boulevard and Limelight, numerous T.V. appearances…well, you get the picture. Here’s his filmography for more ideas. Yes, I’m afraid I’m having a “no duplicates” rule. Otherwise we might end up with fifteen The Generals and six Limelights. If there’s a film you really want to cover, act fast! (Keep in mind that this blogathon will be an annual thing, so if the film you wanted is taken you always have another chance next year!). You can, however, choose more than one film if you want to do a compare/contrast sort of article. Do you want to write about a topic that’s not necessarily a film? Go right ahead! For instance, you could write about Keaton’s time in vaudeville, his stuntwork, how his films have influenced other filmmakers, etc. Heck, you could have 3,000 word Chaplin vs. Keaton essay if you want, I don’t care–as long as it’s thoughtful! Want to write about someone who worked with Keaton? That’s welcome too, as long as it relates to their contributions to his work. People like Virginia Fox, Big Joe Roberts, Eddie Cline, Clyde Bruckman, and Snitz Edwards are good examples (ooo, Snitz Edwards! Someone claim him, quick!). Wide Screen World | Steamboat Bill Jr.
Black Coffee Comedy | Good Night, Nurse! Once Upon a Screen | What! No Beer? 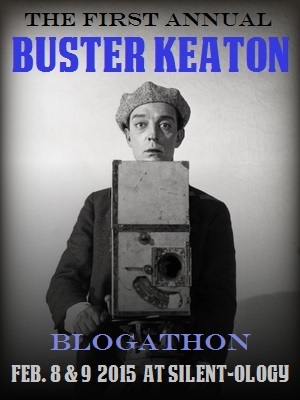 This entry was posted in Blogathons and tagged blogathon, blogathons, Buster Keaton by Lea S.. Bookmark the permalink. It’s yours! Thank you for joining, Emily! Can I write about SEVEN CHANCES? Hi, I would love to do a piece covering Keaton’s early 1960s TV work. I have several blogs it would fit on including my main blog, BOOKSTEVE’S LIBRARY. That’s a great topic, certainly! Are you going to post it on your main blog, I’m guessing? Yes, although I may also share it on my TV blog. Dang, I wanted Seven Chances! That was my very first silent film, and I remember laughing until my stomach ached. Off the top of my head…I could write about Keaton’s TV commercial for Shamrock Gasoline (I knew the director) or about his use of multiple cranking speeds in creating silent film comedy. Great to have you onboard, Ben! Either one would be excellent. The one about cranking speeds would be of interest to lot of people, I’ll bet. Although if the director of that commercial told you any great anecdotes, don’t hold them back! Okay. I’ll keep all this in mind. We’ve still got time. Thanks! I have no idea what I’ll write about but I will be there!! I have been in love with this man since I was six years old… thank you for doing this!! I’ll take The villain still Pursued Her! Excellent, welcome to the blogathon! I’ll take STEAMBOAT BILL JR.
YESSS! That one is just a classic. The scene where Buster and Roscoe are “flirting” kills me. Glad you chose it! Parlor Bedroom & Bath – not a great story for Buster or a masterpiece along the lines of The General or Our Hospitality by any means, but absolutely hilarious whenever Buster and Charlotte Greenwood are together onscreen. I’d be kicked out of the family if I passed up a chance at a Buster Blogathon. I’d like to have a go at “Neighbors”, please. I’d love to write something about Buster’s Chop Suey recipe ! I love this idea. I’m not sure of a topic, but if I think of something good, I’d love to contribute! Yay, thanks for joining! We’ve got a ways to go until the event begins–plenty of time to pick a good topic. I’ll look forward to seeing what you decide! Hallo again! I’m in – I’ll write up something on ONE WEEK (1920). Great blogathon – I can’t wait!!! Could I write an overarching piece about Buster’s shorts between 1917 & 1923, discussing how they set the foundation/relationships for his future career? Hopefully there won’t be too much overlap. I’d like to jump aboard this train. I’m knee deep in working on a project about silent comedians and have been sidetracked with some consuming research into the origin of the name/word “Buster.” My dilemma–although I have a full month to resolve it–is that I don’t currently have a blog. But if you are requiring one for anticipation purposes I could revive an older, discontinued blog title “Civil Warped.” (It’s was an attempt at a humor site about the 150th anniversary of the civil war). Perhaps I’ll just post it there–If I can remember my password! Oooh, I LOVE this topic Marty! You can post it wherever you like, long as it’s easy to link to. Looking forward to it! Oh. My. God. This is wonderful! I can’t wait for this blogathon! Put me up for Speak Easily, please! I’m Le from the blog Critica Retro. Huzzah! Speak Easily’s a great choice, will be looking forward to your post! Ooh! If it’s not too late, my I choose “Go West” (1925)? Fab idea for a blogathon. Heck yes, you can! Yes, it just felt like this blogathon really needed to happen…and every year, too! Hi! Hope I can still join this. Not sure where I’ve been to have missed this announcement! If possible I’d like to tackle WHAT! NO BEER? (1933). Heck yes, you can definitely join in! What! No Beer? is still up for grabs,so it’s all yours (that should make for an interesting review). Well, that’s a fine how-do-you do! Thank you kindly, looking forward to this so much… I’d like to post on Sunday the 8th if that’s okay. Have a swell evening! This may be an odd request and I totally understand if it doesn’t fit in with your plans but could I do my childhood memories of Buster? I first “met” him on public TV, where they used to show bad prints of lots of his films (I assume because they were affordable with not a lot of fees!). I promise not to make it to “me-y.” I really can’t stand stuff like that. Anyway, if it’s not a good fit, don’t worry about it!! I really am looking forward to reading these!! Oh certainly, that’s perfect! A good variety of topics is very much encouraged–even ones with personal touches. Glad you’re officially part of the blogathon, the response to it has been really exciting! 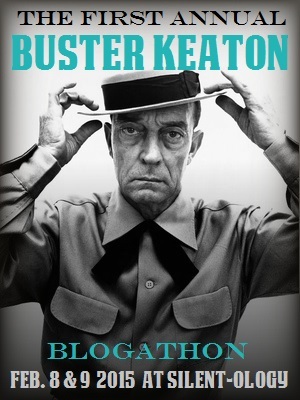 my name is joey,i am a reviewer for wolffian classic movies digest,https://wolffianclassicmoviesdigest.wordpress.com/ i would love turn in a review or two for The First Annual Buster Keaton Blogathon! ill send you my Sunset Blvd. review. i’ll review In the Good Old Summertime for it. would those two do for it for the The First Annual Buster Keaton Blogathon? Hi. I would love to participate in this. Could I do “The Navigator”? Hi Crystal, happy to have you be a part of this! The Navigator’s all yours. Fantastic topic–welcome to the blogathon Joe! May I write a general article about Keaton’s work “after the silents”? Hi! I hope I’m not to late to participate. I hesitated between two movies, but I think I’ll go with Free & Easy (1930). It’s a movie that I love and it’s also a very underrated and not very well-known Buster Keaton’s film. It was his first talking picture. I posted this a little early to give you a chance to look at it and let me know if it fits with what you had in mind. If it doesn’t I totally understand!! Thank you for this blogathon — I can’t wait to read the entries!! https://wolffianclassicmoviesdigest.wordpress.com/2015/01/01/sunset-boulevard-review/ my frist review of two for the he First Annual Buster Keaton Blogathon! https://wolffianclassicmoviesdigest.wordpress.com/2015/02/08/in-the-good-old-summertime-review/ my second review of the First Annual Buster Keaton Blogathon! done. 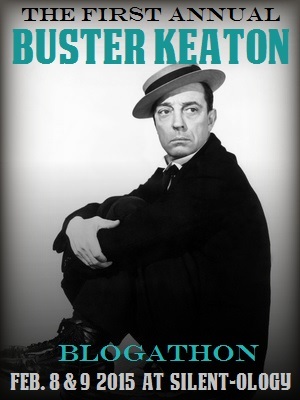 Here is my entry for the “Buster Keaton Blogathon”. I hope this alright and what you are after?